Summit Adjustment Services, Inc. is a multi-lined insurance adjusting firm handling claims in Central, Coastal and Southern Maine. In addition, Summit is licensed in New Hampshire and handles claims in a majority of New Hampshire, see territory list for specific coverage areas. ith over 30 years of experience in the independent industry, we will provide you with a quality adjustment in a timely manner. It is our service standard to make contact with the Insured or Claimant within the day of receiving the assignment. 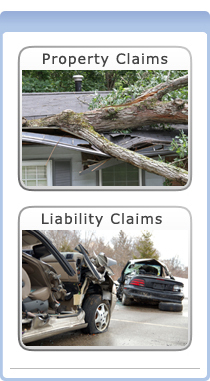 We handle Property, Casualty and Liability adjustments and investigations for both Personal and Commercial lines. Rapid response claim service, please contact us today!